In no particular order, we rank the best of the best from this year's Los Angeles Auto Show. There are times when people wonder why the LA Auto Show has any significance. Opening its doors less than two months after either Frankfurt or Paris and nearly the same amount of time before Detroit in January, LA finds itself squeezed in the middle between some major shows. But remember this: California accounts for one in every ten new cars sold in the United States, which itself is one of the largest markets in the world. Perhaps that&apos;s why Lamborghini chose to unveil its Aventador Roadster, among so many others, in the City of Angels. Porsche Cayman - Imagine the new Boxster with a hardtop and you&apos;ve got yourself a Cayman. Like its predecessor, the all-new Porsche Cayman is literally identical to its Boxster sibling in every way, save for its coupe classification. Also like the Boxster, power comes from a standard 2.7-liter flat-six with 275 horsepower while the S model has a 3.4-liter flat-six producing 325 ponies. Mated to either a six-speed manual or a seven-speed dual-clutch transmission, this mid-engined coupe is potentially capable of outperforming the 911 - if only Porsche were to allow that to happen (which it won&apos;t). Ford Fiesta ST - After being left out for years, American hot hatch enthusiasts will finally be able to get their hands on an affordable and extremely well-engineered vehicle that&apos;s not a Mini Cooper S, Subaru WRX or even a Volkswagen GTI. 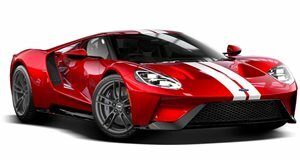 Kudos go to Ford for packing a 1.6-liter turbocharged EcoBoost four under the hood, producing 197 horsepower and 214 lb-ft of torque. Mated to a six-speed manual, the Fiesta ST is even more powerful than the Cooper S and even returns 34 mpg. 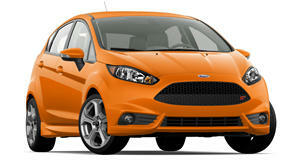 Offered solely as a five-door hatch, the Fiesta ST goes on sale in the US next year. Jaguar XFR-S - This super-sedan is here to prove that Jaguar can fully take on the likes of the BMW M5 and Mercedes-Benz E63 AMG. The XFR-S is powered by a 5.0-liter supercharged V8 with 542 horsepower and 502 lb-ft of torque, putting it in the same league as its German rivals. Combined with enhanced styling more aggressive aero, it can hit 60 mph in just 4.4 seconds and has a top speed of 186 mph. Fitted with 20-inch wheels and a performance-optimized suspension, only 100 examples of the XFR-S are expected to arrive in the US next year, each carrying a price tag of $99,000. Mercedes-Benz SLS AMG Black Series - As if the SLS AMG GT weren&apos;t good enough, the folks over at AMG felt obliged to one-up themselves in the supercar department once again. The SLS Black Series combines everything we love about the gullwing coupe, but adds AMG&apos;s most powerful engine ever - a 6.2-liter V8 with 622 horsepower and 468 lb-ft of torque. With a 0-62 mph sprint time of just 3.6 seconds and a top speed of 196 mph, this is a true supercar in every way. Tack on plenty of carbon fiber exterior components, a rear spoiler and an interior full of Alcantara and carbon trim, and you have Mercedes&apos; new $200+k flagship. Fiat Abarth 500C - Picture everything you love about the 500 Abarth hatchback, only with a retractable soft top and you&apos;ve got the new 500C Abarth. Powered by that wonderful 1.4-liter MultiAir turbo four with an output of 160 horsepower and 170 lb-ft of torque, this open-aired pocket rocket will sprint to 60 mph in just over seven seconds. Like the base 500C, the folding canvass roof panel can be opened at speeds up to 50 mph, allowing one to more easily hear the sound coming from the dual exhaust. Buyers are also treated to a new Dr. Dre audio system as well as advanced driving instruction at the Richard Petty Driving Experience. 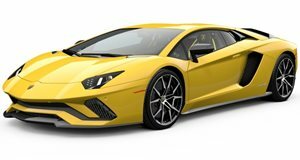 Honorable Mention: Lamborghini Aventador Roadster - The Murcielago Roadster&apos;s top was roughly equivalent to an umbrella, and a bad one at that. Fortunately Lamborghini has improved things for the new Aventador Roadster. To keep things simple, it came up with a two-piece carbon-composite roof that&apos;s easy to remove and install. And it&apos;ll keep the rainwater out as well. 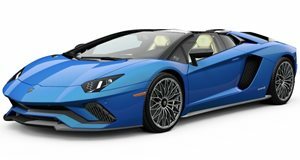 Powered by the same 6.5-liter V12 as the Aventador coupe, the new Roadster looks absolutely fantastic from every angle. The biggest downside, of course, is the price, which starts at over $445k. But hey, this is LA, where you can&apos;t put a price on image.